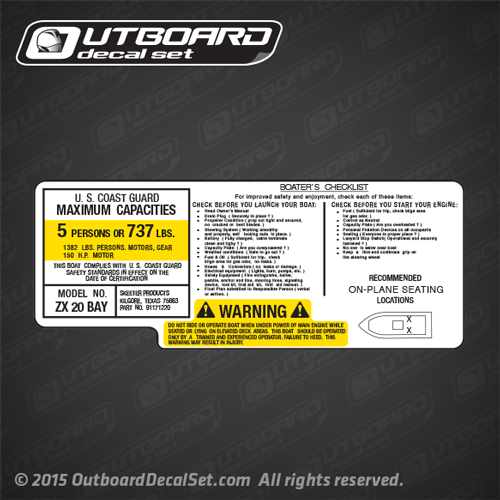 All in one Capacity decal Sold by Each for Skeeter Products Model: ZX20 BAY. Printed Over White vinyl with Black and Yellow Inks. 5 PERSON OR 737 LBS.